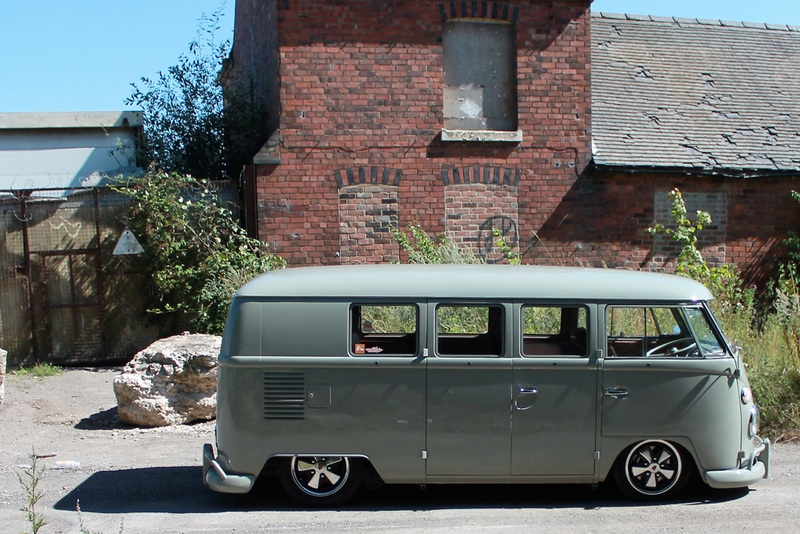 Tom Smith had been rolling his tidy 64 for a few years but deep down he was itching to give it a makeover. 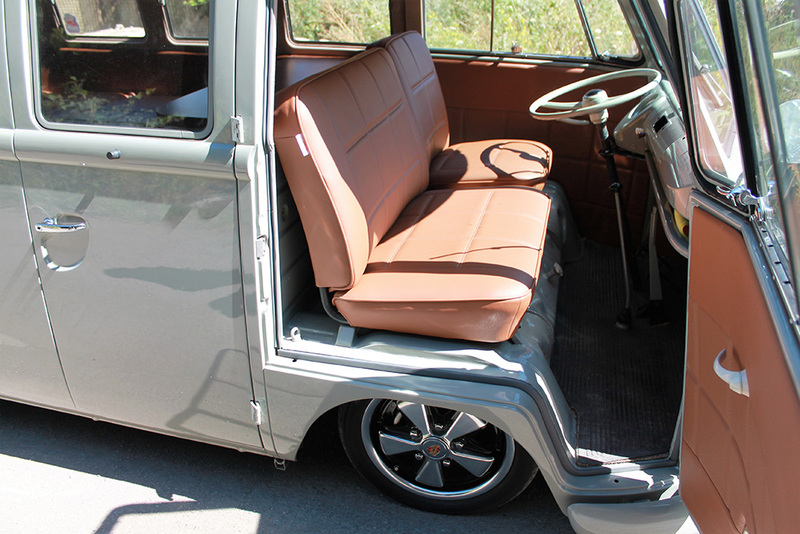 When the time came he had already carefully considered every aspect from paint colour to choice of wheel rim. 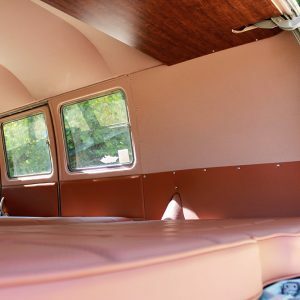 The bus was in pretty good shape, any required metalwork Tom took care of himself before shipping it off to the boys at Edmonds Auto Refinishers to lay on fresh paint. 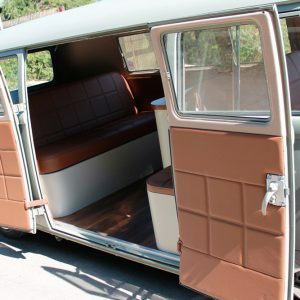 When the bus arrived with us we already had a scheme in mind that had been discussed with Tom and he was game to let us run with it. 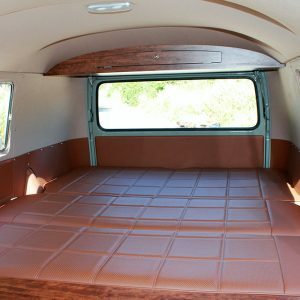 First up to set the scene was a full length Deluxe headliner, the Camel colour wool cloth being cut, sewn and fitted in house, no off the peg stuff here! 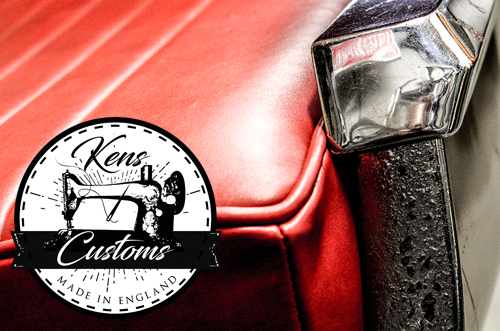 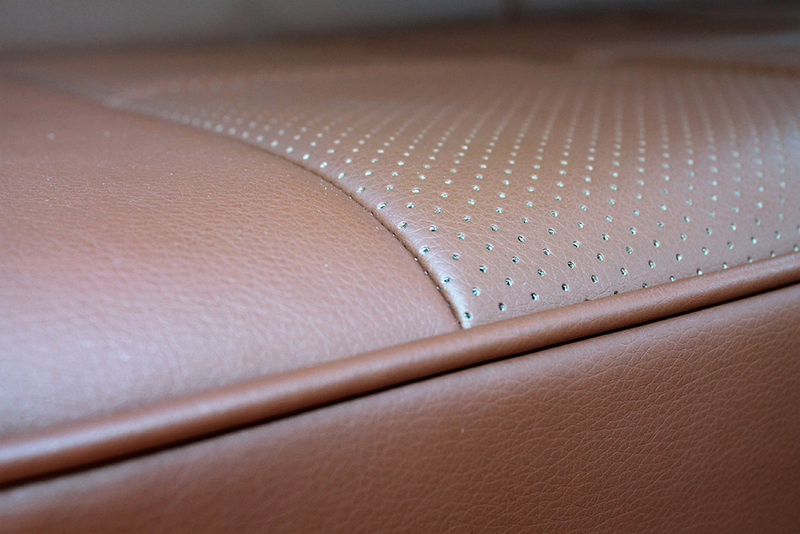 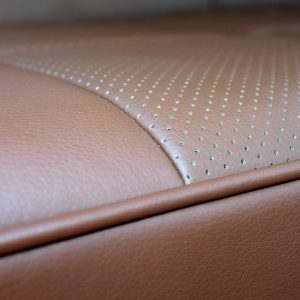 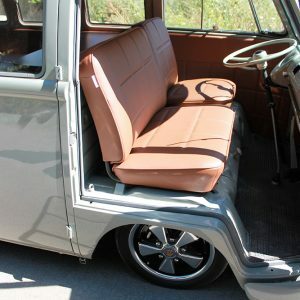 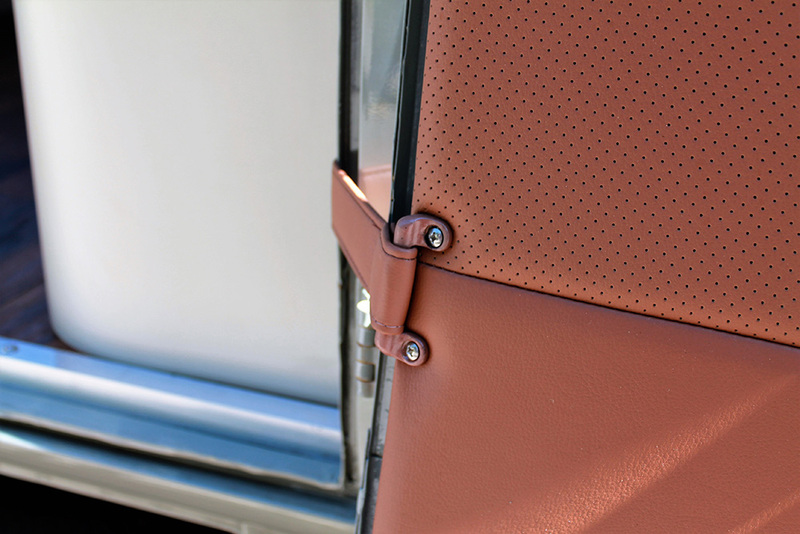 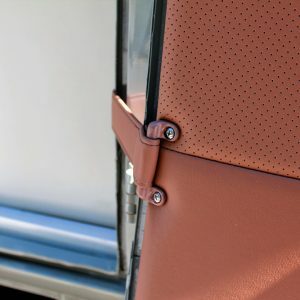 Seats and door cards all trimmed up in leather on a roll in a beautiful deep tan colourway in “fat biscuit” layout featuring twin needle stitch detail and perforated centre panels. 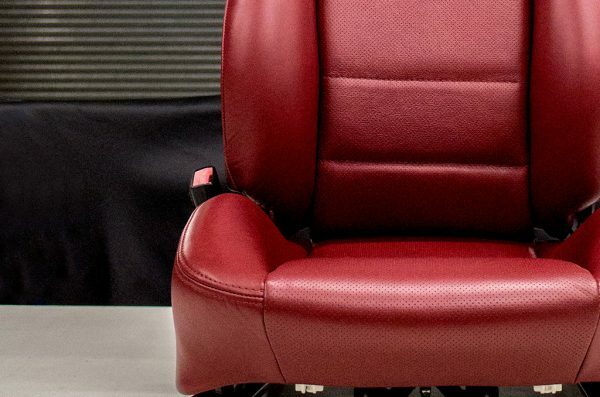 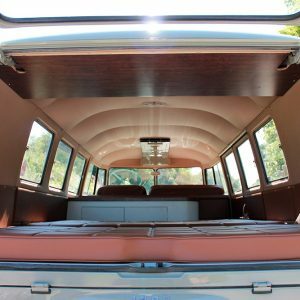 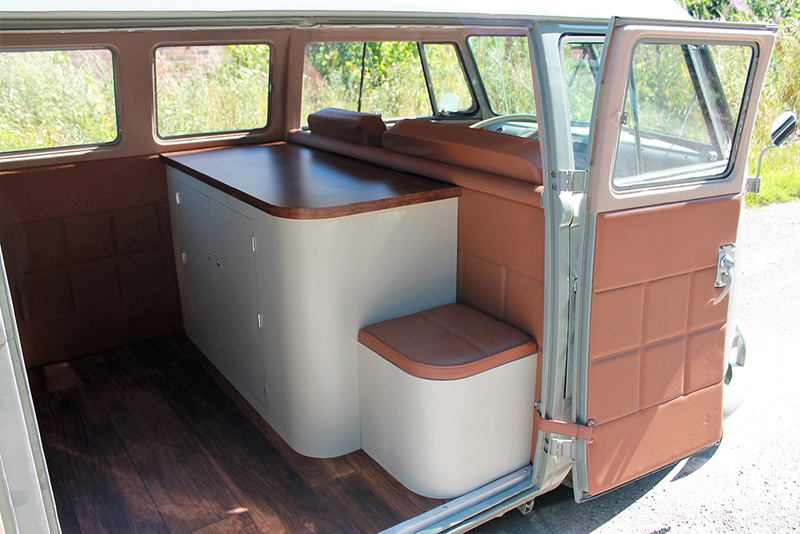 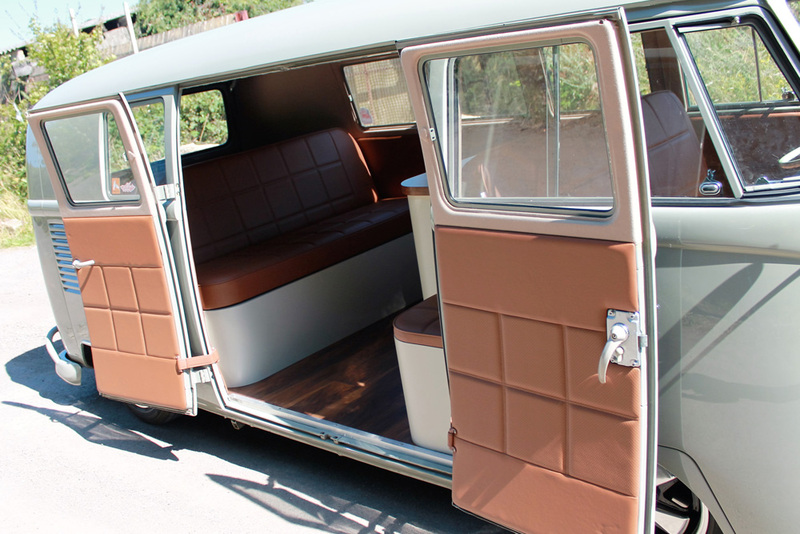 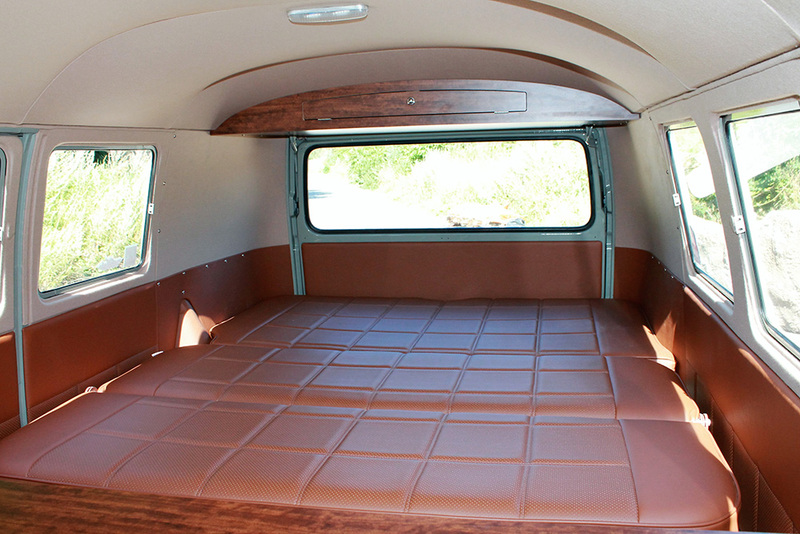 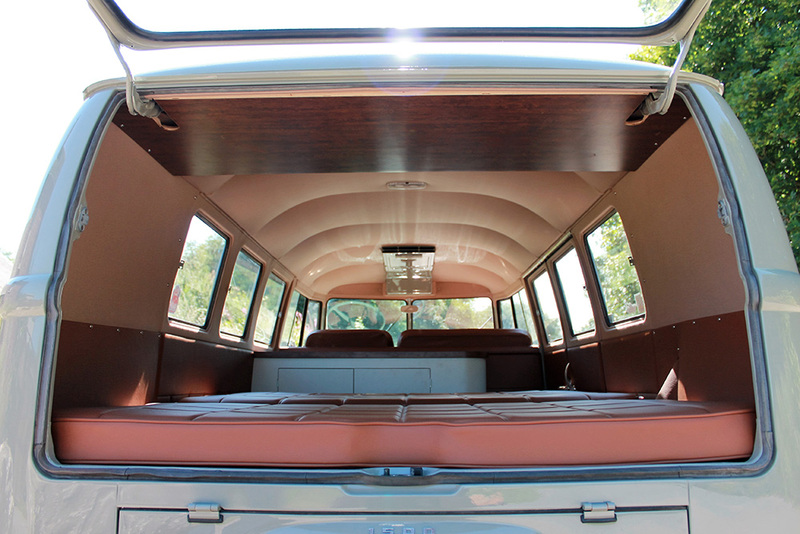 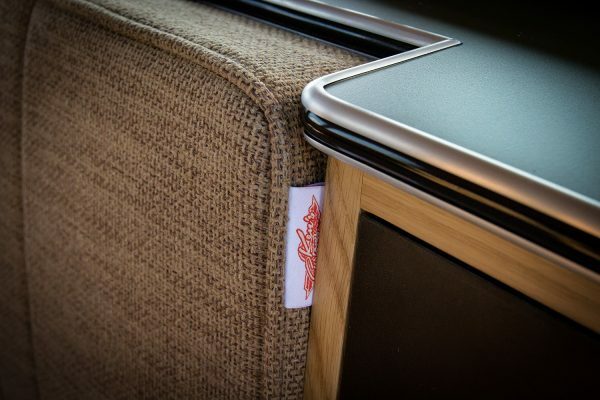 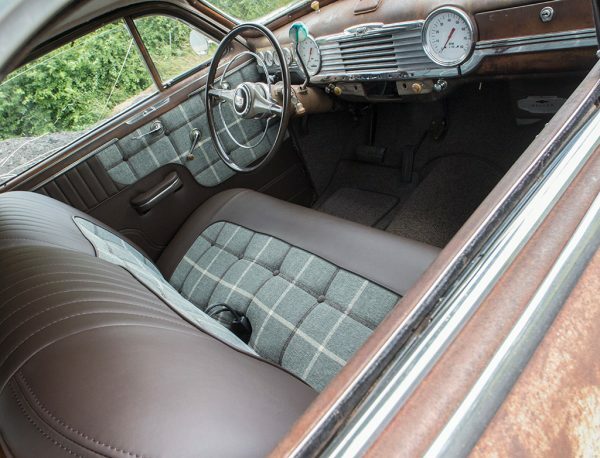 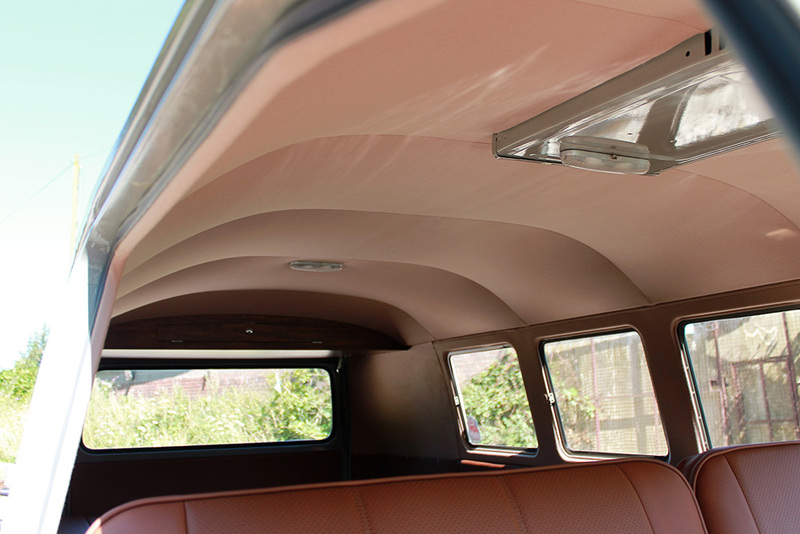 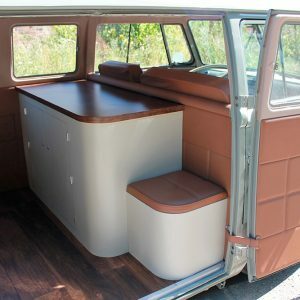 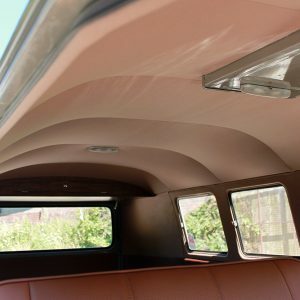 The more you look at this interior the more you realise its packed with little details from the colour coded frame on the “Rusty Lee” rock and roll bed to the matching cargo door check straps. 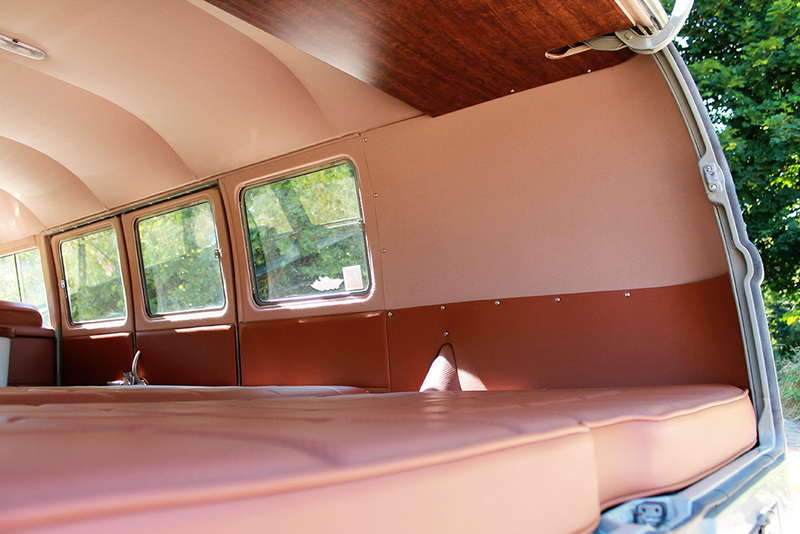 No longer can this bus be described as tidy……. 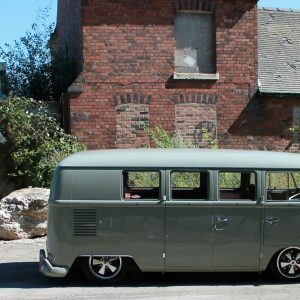 its positively SUBLIME!